Your perfect running partner Created by Nike, Inc.
Nike Run Club gives you everything you need to run better and more often-including GPS tracking of your run, audio guided running workouts, weekly and monthly distance challenges to keep you motivated, customized coaching plans that fit your goals and adapt to your progress, and nonstop motivation from your friends. In short: We'll help you reach your goals and have more fun getting there. Get your perfect running partner-on your wrist. The Nike Run Club app supports all generations of Apple Watches, with a simple experience designed for the runner in motion. Scroll down on the main screen to select a goal or start an Audio Guided Run with one of Nike's coaches and athletes. Swipe left to Settings to customize your run and turn on Cheers to receive cheers from friends while you run. And don't forget to check out the detail of your last few runs in Activity History. GPS support is only available on Series 2 and 3 Apple Watches. Get all the detail you need-pace, distance, GPS route, elevation, heart rate, and mile splits. Real-time audio feedback will keep you on track during your run. 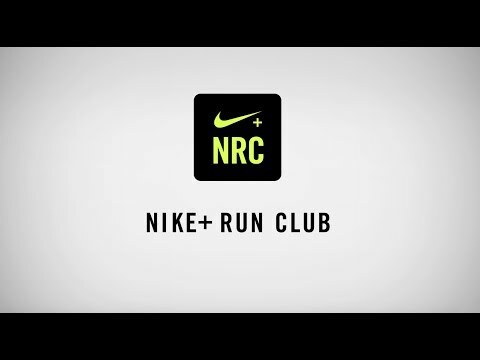 Nike Run Club (sometimes referred to as Nike Running) was added by RemovedUser in Sep 2010 and the latest update was made in Jan 2019. The list of alternatives was updated Feb 2019 There is a history of all activites on Nike Run Club in our Activity Log. It's possible to update the information on Nike Run Club or report it as discontinued, duplicated or spam. Alternatives to Nike Run Club for Android, iPhone, Windows Phone, Android Tablet, iPad and more. Filter by license to discover only free or Open Source alternatives. This list contains a total of 25+ apps similar to Nike Run Club. No reviews yet for Nike Run Club, want to be first? Maybe you want to be the first to submit a comment about Nike Run Club? Just click the button up to your right!